Nichole Mooney represents individuals and businesses of all sizes in business litigation and employment related issues. 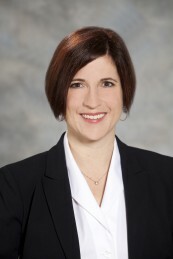 Her representation includes drafting employment and severance contracts, drafting handbooks and policies, and counseling and representing employers in litigation regarding all types of employee actions, rights and obligations, including, but not limited to, wage and hour questions and disputes, FMLA issues, claims of discrimination, retaliation, theft of trade secrets, and all other manner of employment related litigation under Florida and federal law. Ms. Mooney also addresses claims regarding restrictive covenants including non-compete agreements, trade secrets litigation and protection of confidential information. In addition, Ms. Mooney is involved in all areas of complex business litigation in both state and federal courts ranging from simple contract disputes to issues arising from the dissolution of a business entity and derivative litigation. Ms. Mooney has state and federal courtroom experience in both jury and non-jury trials. She also has experience in administrative proceedings with the EEOC, Florida Commission on Human Relations and Orlando Human Relations Department. Are You Required to Implement an Identity Theft Prevention Program? Labor and employment attorney, Nicky Mooney, discusses the new US Department of Labor overtime rules and the impacts on businesses. The rules are mandated to take effect on December 1st.